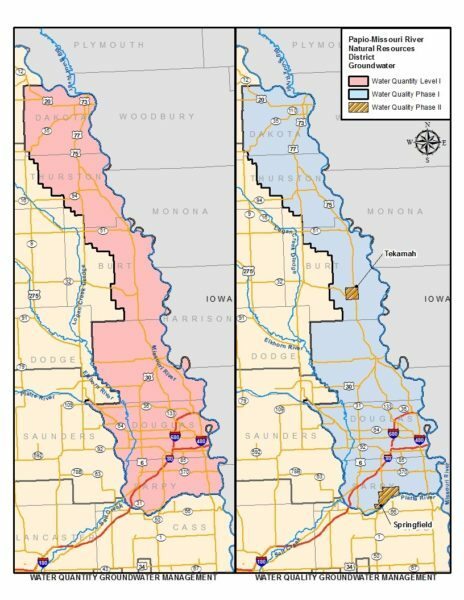 The Papio-Missouri River NRD (P-MRNRD) has adopted a new Groundwater Management Plan, to sustain our local groundwater quality and quantity in order to ensure groundwater for existing and future uses and maintain high-quality drinking water. The new plan has been prepared with more recent data, input from stakeholders from across the District who rely on groundwater, and comments from local public hearings. What Are the Benefits of the New Plan? 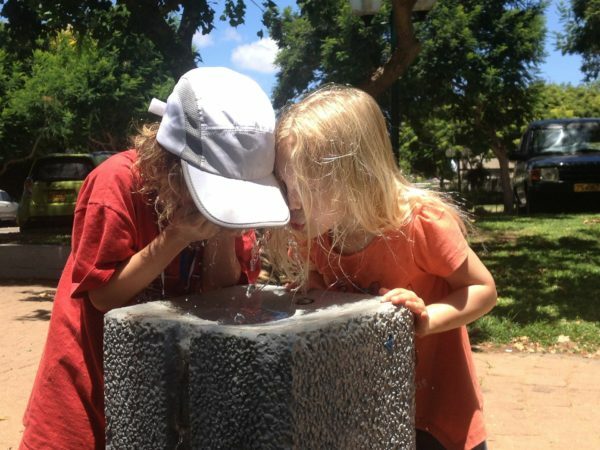 Help protect the drinking water supplies of over 750,000 people in our District who receive their water from a community or rural water system. Enhance the monitoring, identification, and response to groundwater quality issues that may impact the estimated 21,000 people who get their water from private domestic wells. Monitor and better manage the availability of groundwater supplies to allow for future uses without jeopardizing long-term sustainability. The P-MRNRD has the obligation to declare Groundwater Management Areas to improve groundwater quality or quantity. New rules and regulations, effective March 1, 2018, have been adopted for Groundwater Management Areas that encompass the entire District. Non-organic nitrogen fertilizer applications would not be allowed in the Platte and Elkhorn River Valley (HCA Area) until after March 1st. Application of organic fertilizer would be allowed at any time and fertilizers with less than 40 lbs/acre nitrogen may be applied between harvest and December 1, see diagram below. In all other areas of the District (non-HCA Areas), Non-organic fertilizer applications would not be allowed after harvest until November 1, except fertilizers with less than 40 lbs/acre. All new water supply wells capable of pumping over 50 gpm would require a permit from the P-MRNRD prior to construction. Require a minimum well spacing of 600 feet between any new well permitted by the District and any existing registered water supply well, including domestic wells. 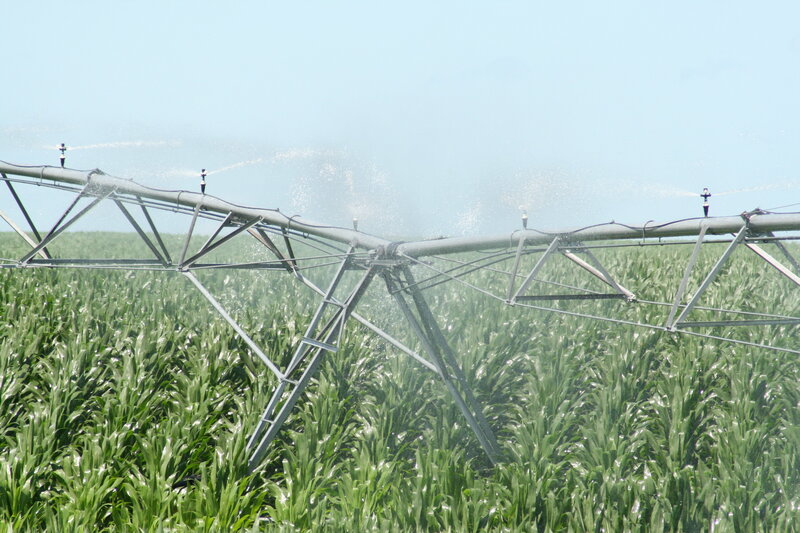 Agricultural crop producers would have to follow the non-organic nitrogen fertilizer application date restrictions for their Groundwater Quality Management Area. Well drillers would have to apply for and receive a permit prior to installing any well that pumps over 50 gpm and follow recommended well spacing requirements. Communities that supply their own municipal water would need to work with the District to enhance protections for their Wellhead Protection Area. Homeowners with their own domestic well are encouraged to test their drinking water at least once every year. What Portions of the District Are Designated a Groundwater Management Area? The entire District is designated as a Level I Groundwater Quantity Management Area and Phase I Groundwater Quality Management Area. 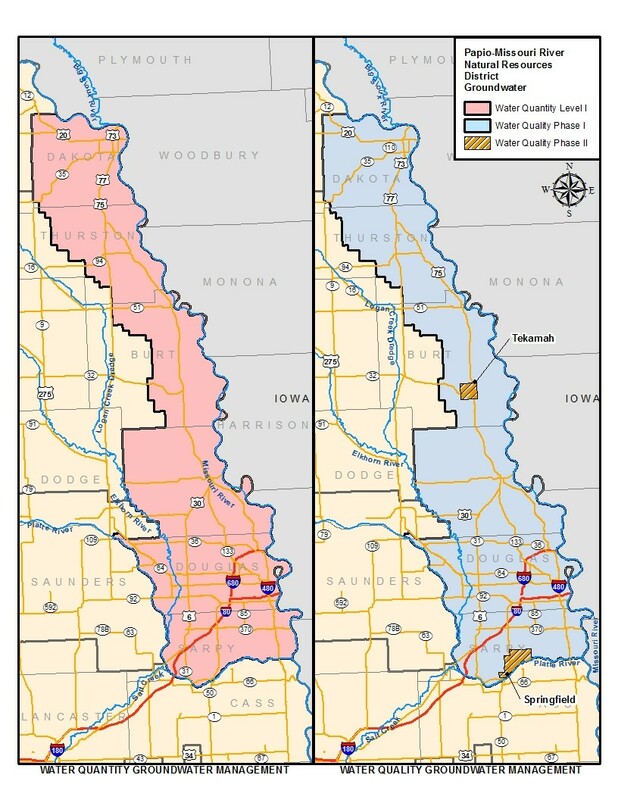 Subareas with elevated groundwater nitrate levels around Tekamah and south of Springfield would be Phase II Groundwater Quality Management Areas. 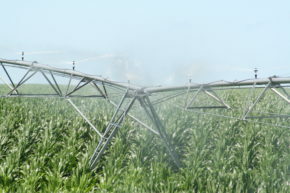 View Volume I of the new Groundwater Management Plan here. Volume II contains maps referenced as part of the new Groundwater Management Plan. View volume II here.